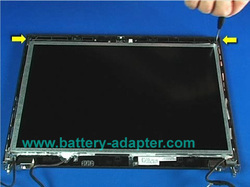 In this guide, the acutal laptop is Lenovo Thinkpad T410. First of all, shut down your computer, disconnect the AC adapter and remove the battery. 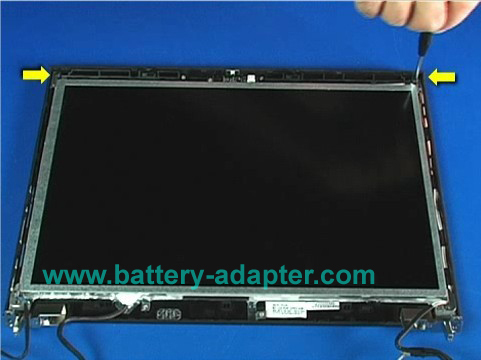 Remove the LCD unit from the laptop base. Please Refer to: How to Remove LCD Unit from Lenovo Thinkpad T410 T410i. 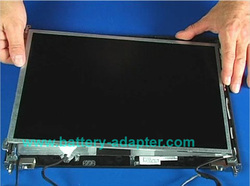 Screen Bezel. 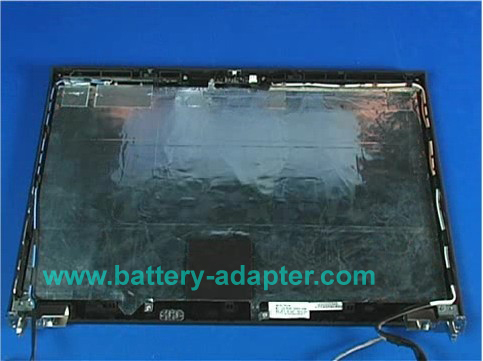 Please refer to: How to Replace Lenovo Thinkpad T410 T410i Inverter. 1. Remove two screws as shown. 2. 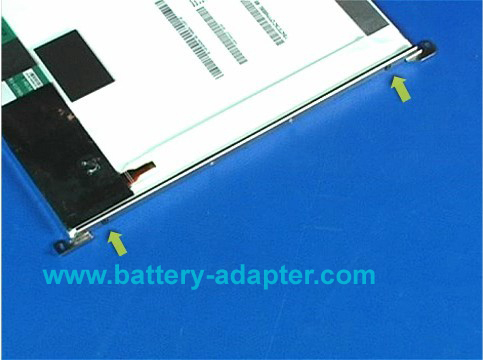 Remove the screen from the back cover. .
3. 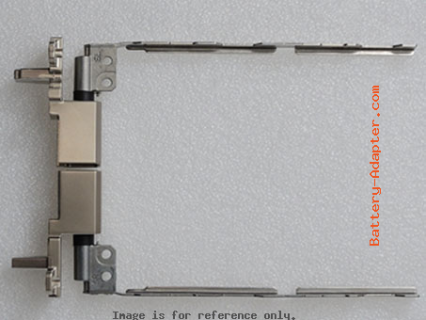 On the back over, you can get the Thinkpad T410 T410i LCD hinges. .
4. At both sides of the screen, there is one bracket on each side. 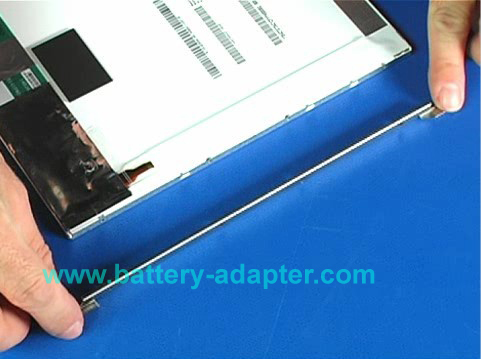 Unscrew the two screws. Reverse the procedure to install the new Thinkpad T410 T410i LCD hinges and brackets.